New Shoes Summit 2019, Netherlands. 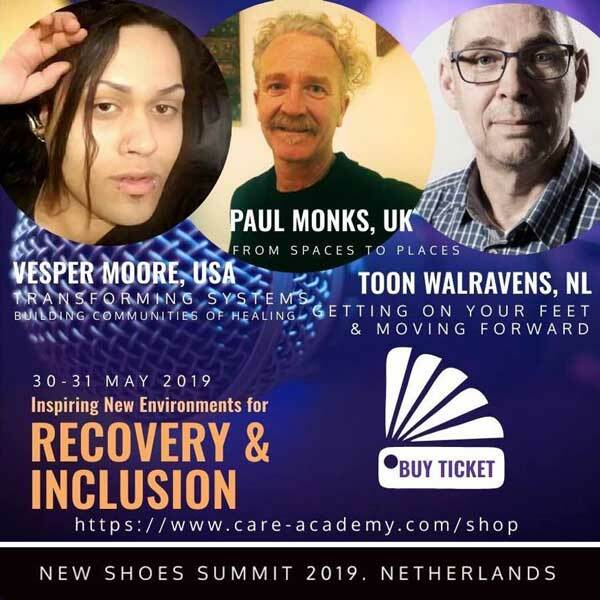 Social Entrepreneurs, care practitioners, social work, nurses, students, designers, meet Paul Monks from CORe Arts UK, Vesper Moore from USA Massachusetts, and Toon Walravens from NL as the 3 Keynote Speakers of the summit for the theme on Inspiring New Environments on Recovery and inclusion. Early bird tickets are available online now! Have your say heard. 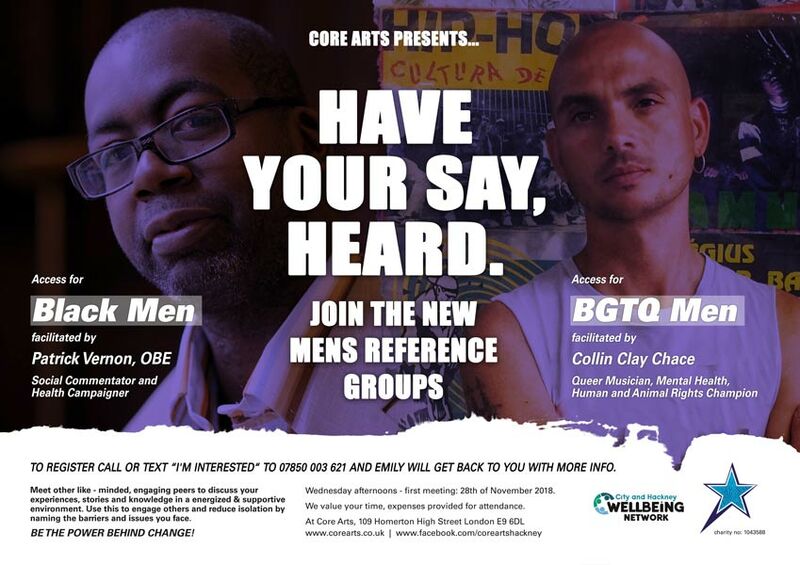 Join the New Mens reference Groups. Meet other like-minded, engaging peers to discuss your experiences, stories and knowledge in a energized & supportive environment. Use this to engage others and reduce isolation by naming the barriers and issues you face. Be the power behind change! Wednesday afternoons – first meeting: 28th of November 2018. We value your time, expenses provided for attendance. To register call or text “I’m Interested“ to 07850 003 621 and Emily will get back to you with more info. 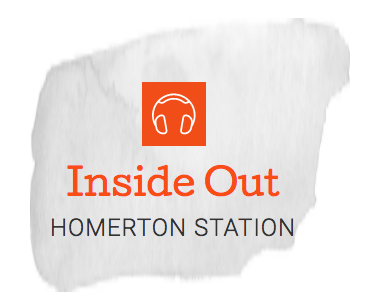 Inside Out audio tour: a collaboration between On the Record and Core Arts. The walk explores birth, mental health and creativity, inside and out of The Institution. This 45 minute immersive audio walk blurs boundaries between hallucination and external sound. Participants need to be a competent cyclist and be able to commit to the majority of the sessions. 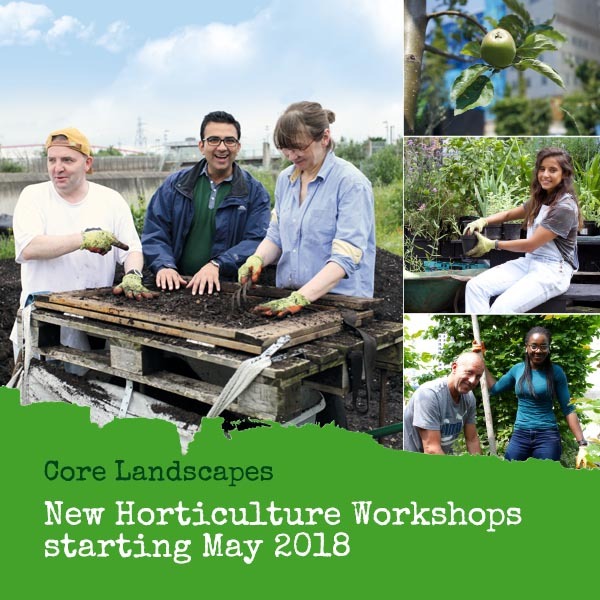 Contact Laura: lconnolly@corearts.co.uk or 07881228009. 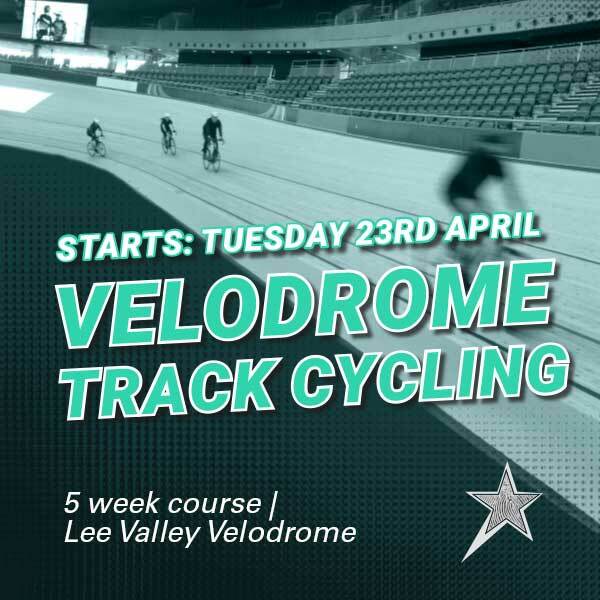 Please contact Laura for more information. No previous gardening experience required. *Herbs for window-sills *New plants from old *Growing your own food *When is weed not a weed *Colour and scent and lots more….